We're proud to offer Bonusly users the option to multiply the positivity of peer recognition by donating their earnings to causes like Habitat for Humanity International. Q: Habitat for Humanity was founded in 1976. How have the goals of Habitat evolved since its inception? "From its humble beginnings in rural Georgia, Habitat for Humanity has evolved in many ways since its founding in 1976. Over the past four decades, Habitat has been a leading voice in the fight against poverty housing, becoming internationally known for its unique, holistic approach to home building." "Today, Habitat’s mission to bring people together to build homes, communities and hope is carried out through a diverse set of programs and housing solutions that focus not only on building affordable housing but also a better quality of life for the many families we serve. Habitat’s evolution can be seen through its work in neighborhood revitalization, community engagement and advocacy." Q: How have advances in communication and construction in the past few decades affected Habitat’s work? "Thanks to the ability to coordinate our efforts more efficiently on a global scale, Habitat for Humanity has seen extraordinary growth in its worldwide mission. We have helped more than 1 million families worldwide — about 5 million people — improve their living conditions through our housing solutions, products and services, and this trend will continue as we improve our capacity to work seamlessly with our global partners." Q: Lack of adequate housing is a problem all across the world and the trend is increasing. What are some new ways that Habitat for Humanity is working to combat this accelerating trend? 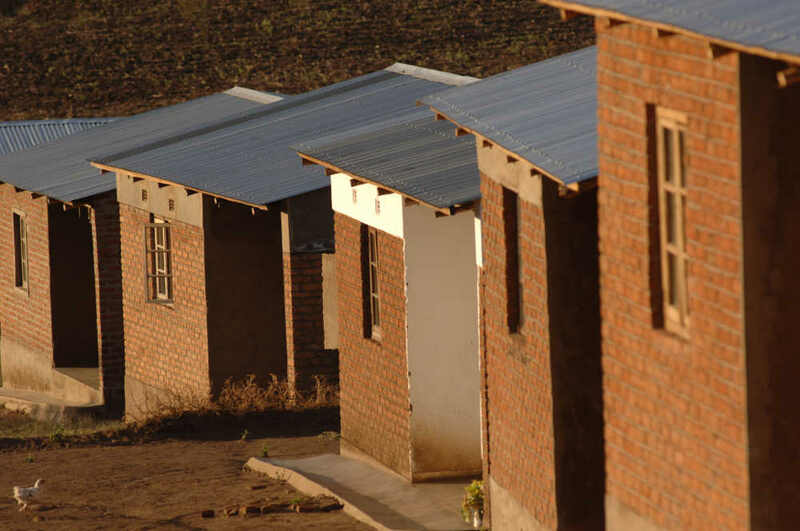 "To meet the needs of shelter situations in the countries it serves, Habitat has expanded its efforts of new home construction, rehabilitation and repairs, to include neighborhood revitalization, market development and advocacy of policy changes at local, state and national levels worldwide." "In the U.S., Habitat programs operating under Neighborhood Revitalization have been instrumental in transforming entire communities. Our A Brush with Kindness and Critical Home Repair programs, along with weatherization and rehabilitation projects, all work together to address the need for safe, decent affordable housing." Q: Habitat for Humanity houses are designed to be simple, decent, and affordable. Part of that affordability comes from a focus on sustainable building practices and energy efficiency. What are some of the ways investing in efficiency has helped Habitat further its mission? "Habitat for Humanity strives to make homeownership as affordable as possible for our partner families. As such, many of our local Habitat affiliates have used improvements in weatherization and green building techniques to help our partner families reduce their utility costs." Q: Habitat for Humanity has built or repaired more than 1 million homes, which serve more than 5 million people worldwide. In addition to shelter, what are some less obvious benefits provided by decent housing? "A safe, well-insulated and affordable home can have a transformative effect. We have found that a person’s home environment can impact key aspects of his or her life, including education, finances and health." Q: Habitat is becoming increasingly focused on neighborhood revitalization. What are some ways decent housing and neighborhood resources combine to solve a larger problem? "Providing neighborhoods with decent housing and communal spaces creates a domino effect that positively impacts residents, local businesses, school districts and the community at large. When a community comes together and decides to partner with Habitat to improve its neighborhood, residents are setting an example and letting surrounding areas and decision makers know that they are working to achieve their goals. This in turn can inspire more people and other organizations to make long-term investments in the neighborhood and in the people living there." Q: What are the greatest challenges Habitat for Humanity faces today? "Due to the rising costs of property, one key challenge Habitat affiliates face today is acquiring land. This is why it is important for Habitat to have support from elected officials and financial institutions working in the communities we serve. With their help, Habitat can gain better access to land and homes that are available for purchase with a reduced cost or as a donation. Developing and maintaining relationships with these entities gives Habitat more opportunities to build affordable housing in areas that need it the most, adding tremendously to our ministry and mission." Q: In addition to making donations, what are some good ways for our readers to get involved? "There are a number of ways to get involved with Habitat for Humanity. In addition to donating to Habitat, readers can volunteer on a local Habitat build site; shop, donate and volunteer at their neighborhood Habitat ReStore; become an advocate for Habitat’s affordable housing initiatives; or participate in one of Habitat’s many volunteer programs. More information about ways to get involved with Habitat for Humanity can be found on our website Habitat.org."